The emergence of China as the world’s second largest cinema territory after US comes as news to precisely no one. Interestingly recent Hollywood films like RoboCop and Need for Speed have earned more at the Chinese box office than in North America, helped in no small part by their 3D release. According to a report by the Motion Picture Association of America (MPAA), China’s box office sales in 2013 achieved $3.6 billion and grew by 27%, compared to the 1% growth observed in the U.S. Many insiders predict it will surpass the U.S. in six years. SARFT announced an alarmingly rapid proliferation of cinemas in China in 2013, with an average of 13 new theaters being built per day. But while Chinese films have previously tended toward mythological/historic epics or reality TV show adaptations, the success of Berlin Film Festival Golden Bear-winner Black coal, Thin Ice, points towards an interesting change in the tastes of the Chinese cinema going public, as explored by this CNN article. The cherry landed on top when the film opened in China on March 19 to unexpectedly high box office earnings. State-run news agency Xinhua reported the movie raked in US$12.8 million in its first two weeks, becoming the current king of Chinese language cinema. “I did think that we would do better than other Chinese award-winners, but I never thought we could possibly reach the RMB 100 million mark,” says Diao, who was attending the Hong Kong International Film Festival. The success of “Black Coal, Thin Ice” is a possible game changer for the global film industry. If Chinese films continue to be so well-rounded, it could challenge the Hollywood-dominated global film scene. While the last sentence is a tad optimistic, in that the film is only likely to do well outside of China at the art-house circuit, it could be an indication on a broadening of the types of films that get released and do well in China. If that it is the case, it will in itself be enough a challenge for Hollywood. KenCast: With CinemaCon barely over, it is time already to focus attention on NAB. KenCast is one of the companies that will show off their products and solutions. Delivering content for the military, government agencies and news media for two decades, KenCast continues to enhance its offerings to meet the latest requirements in digital cinema and even those of the future with their EdgeSpan CinemaPro appliances. Sonic Equipment: Coming too late for CinemaCon, Christie bigs-up its partner Sonic Equipment’s 1,000th installation milestone. Christie®, a global leader in digital cinema technology, is proud to announce an impressive achievement from long-term partner, Sonic Equipment Company, which recently reached a milestone with the installation of its 1,000th Christie Solaria® Series DLP Cinema® projector. Harkness: The screen lifecycle management app launched last year by Harkness has passed 2,500 downloads. Not bad for such a specialised app. Harkness Screens launched the range of screen lifecycle management tools at CinemaCon 2013 on the Apple iOS platform, releasing the Digital Screen Modeller (a real-time 3D modelling simulation tool for examining light on screen in an auditorium) and the Digital Screen Archiver (a secure database system designed to aid cinema operators in the process of on screen brightness management). In October 2013 both apps were launched on the Android platform. Doremi: We will be doing a separate article on VPF in Latin America, but just to let you know that Doremi has scored a success in Colombia. A new theater coming to Tucson plans to combine the experience of dinner and a movie. Roadhouse Cinemas is tentatively slated to open in August in what is now Grand Cinemas Crossroads 6 at 4811 E. Grant Road. The theater will offer first-run movies in digital format on six screens, while serving meals to your seat, including burgers, flatbread pizza, mac and cheese and stuffed naan. USA (PA): On World Autism Day (today) we bring you news of another autism-friendly screening, but with a strange concessions twist. Aaron’s Acres will present its third annual Sensory-Sensitive Cinema Day at Penn Cinema, 541 Airport Road, Lancaster, on Saturday, April 12, at 10 a.m.
“No powder donuts”?? But I guess strawberries are OK.
USA (MN): Could cinemas be next in line? Minneapolis has passed a new ordinance related to fears about excessive noise in concert venues. As so often, cinemas too could find themselves targets next. A new city law might force music venues to give concertgoers’ ears a break. The change would come in the form of free earplugs, which Minneapolis venues would have to provide under the new ordinance. 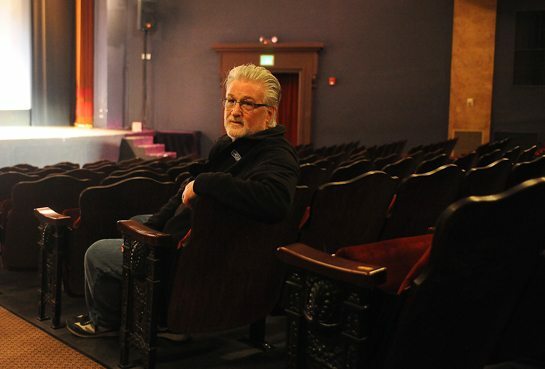 USA (WA): The new owner of the oldest theatre west of the Rockies (opened in 1901!) has grand plans for it. While mostly performing arts, the venue also has a strong cinema tradition. “There use to be several of these in Everett, but this is the last one, the best one,” Curt Shriner said. Shriners want to open up the theater to the whole community, including kids and younger adults. The cinema has a truly impressive (not to say epic) history and it is good to see owners with 360-degree vision for theatres as a centre for the local community that involves film. 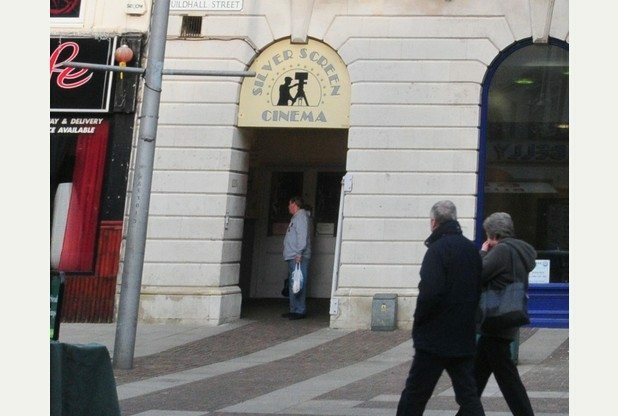 UK: An offer by the local council in Folkestone to fund the digitization of one of two screens in return for taking over the running of the Silver Screen Cinema has been rejected. At the town council meeting on March 20, councillors agreed to fund a new digital projector, but only if the authority took over the running of the business. 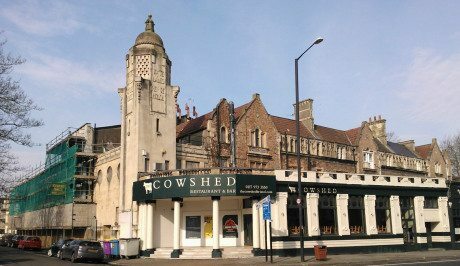 Supporters who had gone to the Guildhall Street cinema last Saturday for the fundraising showing of The Artist were told the town council’ final offer would be rejected. USA (PA): Another small victory for community-run cinemas. Renew Theaters, the nonprofit organization that runs the County Theater in Doylestown, has signed a lease to operate the historic Princeton Garden Theatre owned by Princeton University. 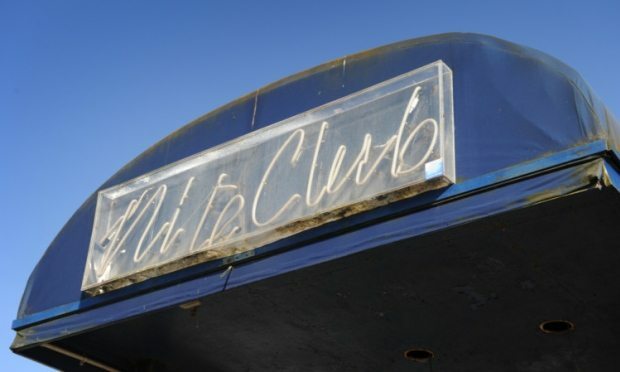 UK (Scotland): The town of Angus (of eponymous beef fame) does not have a cinema, but a local nightclub could soon fill that function if it succeeds in licence change to allow access to under-18s. The first is a well-meaning yet ultimately futile scheme proposed by the Whitleladies Picture House Ltd, which includes the retention of the main auditorium space as a 580-seat theatre and cinema screen, a separate 60-seat cinema under the existing balcony and the reinstatement of the historic foyer and ballroom. 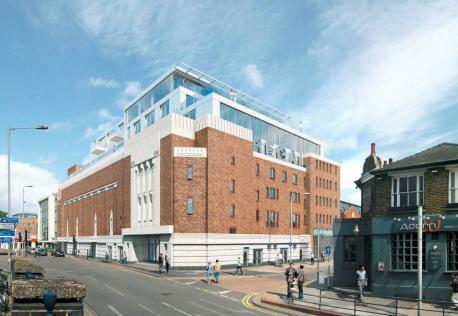 The website highlight the case of the new Everyman Cinema in Maida Vale, west London, to argue why Everyman represents the better of the two plans. 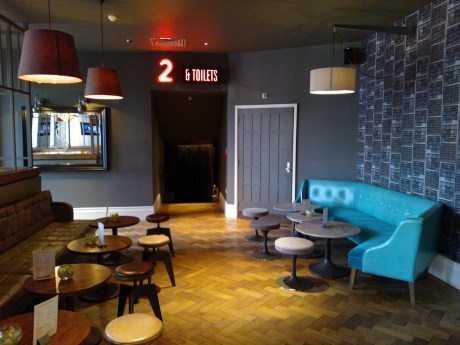 The photos of the Maida Vale cinema definitely look inviting (see below). Canada (ON): Kitchner, the home if Christie Digital, will see its local cinema close and re-model. Frederick Twin Cinemas will be closed for renovations until at least April 11 after being taken over by Imagine Cinemas, a small Ontario movie theatre operator. And the renovations will give patrons the chance to sit where Hollywood’s most famous stars once sat, Imagine’s general manager, Gina Facca, said in an interview. UK: Plans to convert a former bingo hall that used to be a Regal cinema in Kingston-Upon-Thames back into cinema is being opposed by a coalition of interest groups. The plans look good to me, but they would change the look of the building itself. 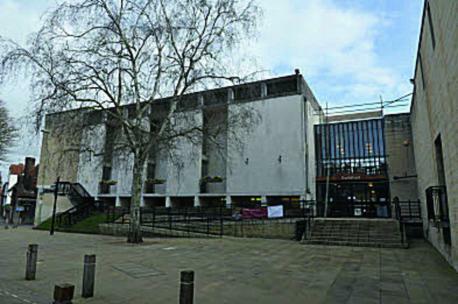 UK: Councillors in Abingdon are moving ahead with plans to revamp the Guildhall, including installing a cinema, despite a failed GBP £1.9 million Lottery Funding application. Abingdon Town Council said it did not know why the Heritage Lottery Fund turned down its application for funding towards the £4.4m scheme. UK: London’s Crouch End has a new cinema and childrens’ charities benefited from its opening. On this exact day 112 years ago, cinema first came to the City of Angels. The opening cinema programme featured a four-minute drama entitled Ruined By Hard Drink. 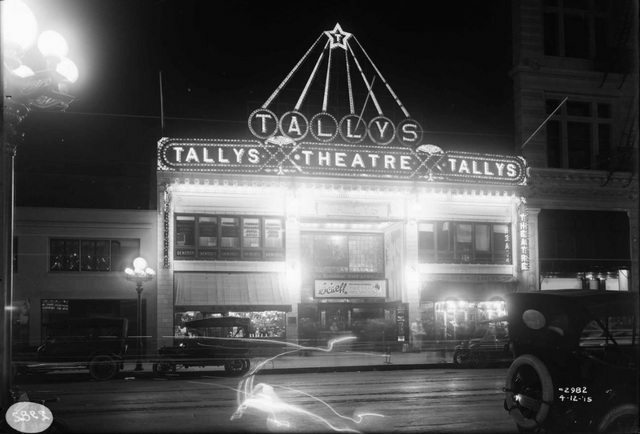 Tally’s Electric Theatre is listed as the first permanent movie theater designed specifically for the exhibition of films. It was opened in the spring of 1902 by Thomas L. Tally in Los Angeles. In later years, Tally had the idea to create an organization of exhibitors, one from each major city, which would buy, or make, and distribute their own films. He presented his idea to another exhibitor, John D. Williams of West Virginia, who liked the idea and combined forces with Tally. They named their new company First National Exhibitors Circuit.